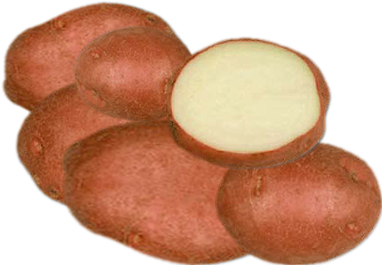 Oval potatoes with bright red skin and white flesh. Roko has a unique quality of producing high yields with uniform potatoes. Also excellent for over winter storage.